Out walking with a friend recently we came upon these two majestic trees. 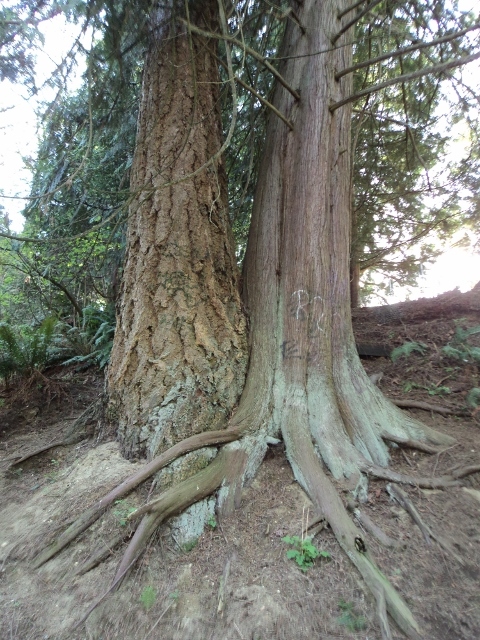 On a shady trail, these two stood side by side and reached for the sky while clutching the ground for stability. 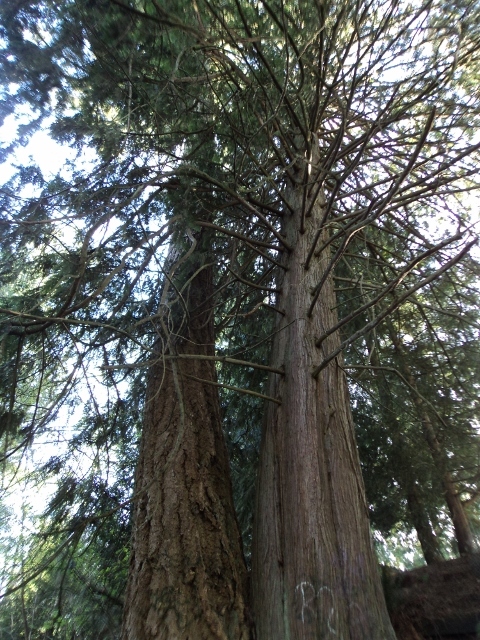 Two individual trees different in appearance, separate in several locations, yet linked – entwined, arms together in some places and apart in others. In one part of the trunk the two trees come together, “unioned” and then with roots crossing over one another, dig deep into the earth, each seek nourishment and hang on to what feeds them, deep under the soil. Some branches are bare, having lost or shed leaf while others are green and full of life. What makes these two trees (any particular marriage) work? What are the roots digging down into and what nourishment keeps them alive, separate yet together? What contributes to a lasting relationship?